Does your smile need some tender loving care? Are you new to the area and want a new home for your family’s smiles? Do you wish there was a more personal way to experience dentistry– one that made you feel safe, comfortable, and cared for at every visit? You just found all that and more with the friendly team at Park Cedar Dentistry – where generations of Charlotte families come to smile! Quality dentistry, excellent treatment, and your total comfort are top priorities here at Park Cedar Dentistry – and have been for over 30 years! We take great pride in the level of care we provide, partly because we are passionate about what we do, and partly because you, our Charlotte friends and neighbors, mean so much to us! You are unique and special and meeting your individual needs with genuine compassion and outstanding treatments is important to us. In our relationship-based family dental practice, we treat every person who comes through our doors like the friends they are. The truth is, we believe that getting to know you as a person is a vital part of your dental care. When you feel happy and relaxed with us, the more consistent you will be with your dental checkups, regular cleanings, oral exams, and other preventive care. That’s important because nothing keeps a smile going strong like preventing dental problems before they start. We also want you to feel proud of your smile, so we offer a full range of cosmetic and restorative services, right here in our beautiful office with dentists you know and trust. Park Cedar Dentistry specializes in dental services like general dentistry, cosmetic dentistry, dental implants, sleep apnea and snoring solutions for patients of all ages. It’s a win-win situation! Our fun and friendly environment keeps whole families smiling. It starts with visits to check out that first, precious infant tooth and continues through all ages, stages, and generations – for smiles you will want to show off for years to come! Our doctors are excited to meet you! Dr. Emily Snapp and Dr. Summer Suttles look forward to getting to know. 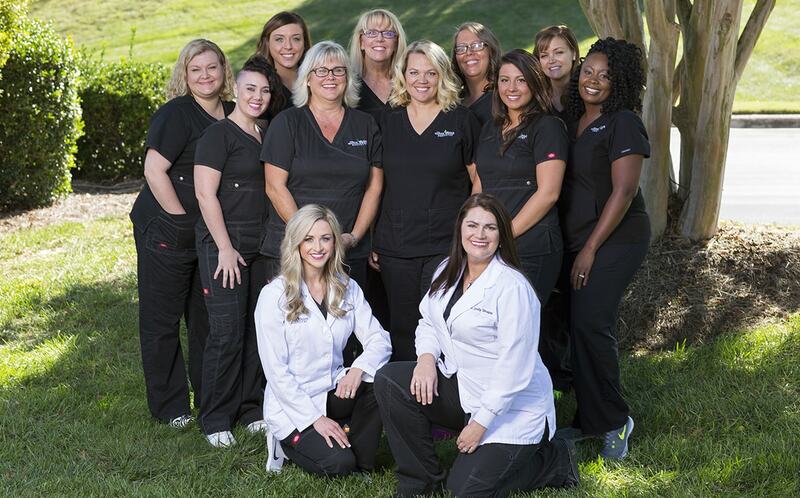 Click to request an appointment with one of our leading Charlotte cosmetic dentists or feel free to call our dental office at 704.752.0500 to schedule your consultation.